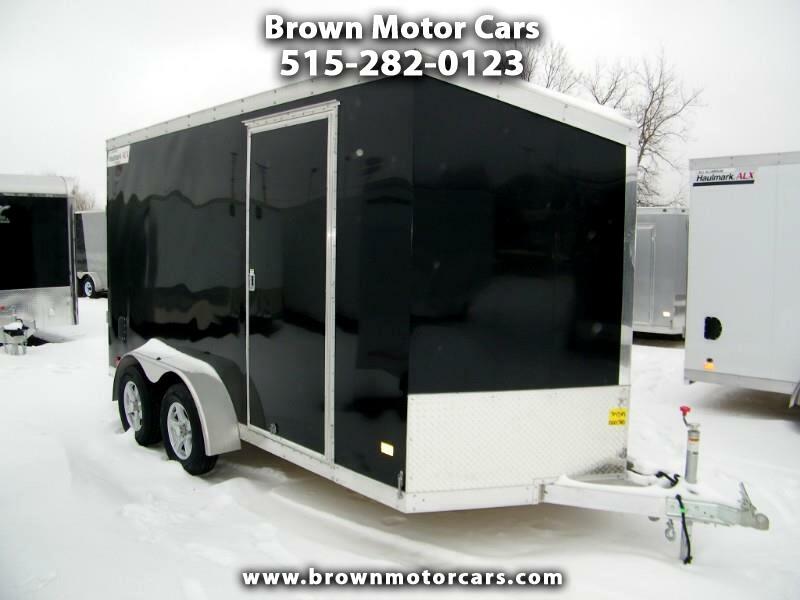 Thanks for looking at our 2019 Haulmark HAUV 7x14 all aluminum enclosed trailer! That's right this trailer is all aluminum and is built to last! It has lots of features including smooth exterior side walls, 3,500lb torsion axles w/brakes on both axles, 15" aluminum wheels w/radial tires, 7' interior height, 3/8"interior side walls, 3/4" flooring, 12v LED interior dome light, rear ramp door, RV style side, door, LED exterior lighting, and tons more! Give us a call with any questions and we'd be happy to help you out, or stop out and take a look for yourself. Don't wait though, because this one won't last long!